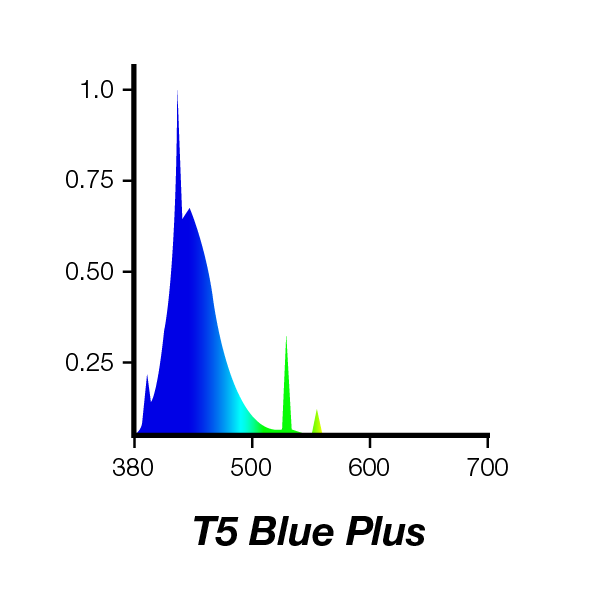 45W – 895mm/36” (l) – 5/8”- 16 mm (w) BLUE PLUS delivers an intense blue light with the properties of a blue tube and an actinic tube.The unique spectrum enhances the vibrant blue colours of your corals. Rio 180, Trigon 350 (front light unit). These T5's are also compatible with the Aquatlantis range of T5 Lighting. 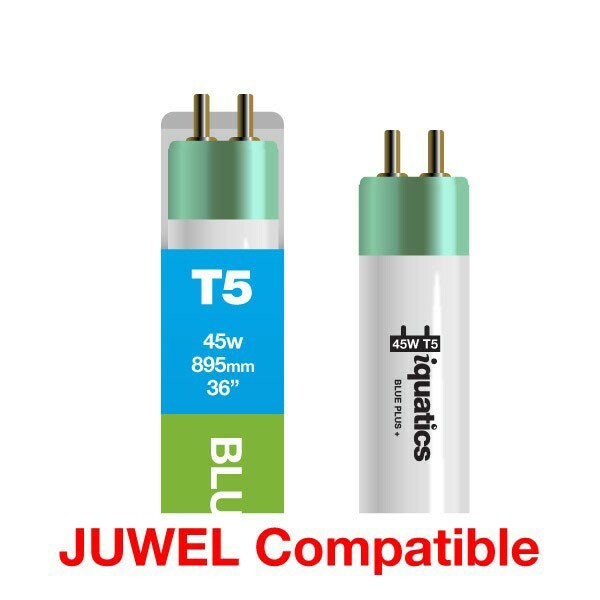 The iQuatics Blue Plus bulb delivers an intense blue light with the joint properties of a blue tube and actinic 03 tube peaking at 420nm. The unique spectrum enhances the vibrant fluorescent colours of your corals as well as providing high PAR ideal for those deeper tanks to give you the light required for keeping corals at the greater depths. 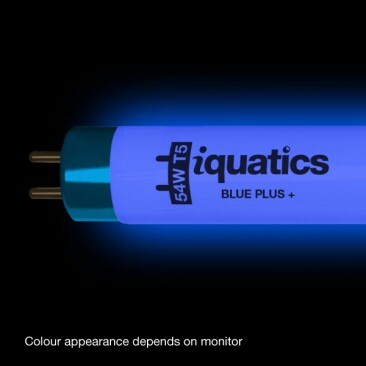 The iQuatics Blue Plus is one of the post popular actinic bulbs available. It helps to balance out the washed out yellow hue in your aquarium. The iQuatics Blue Plus works well as a supplement to metal halides or in combination with iQuatics Marine White 14000K. Decided to try this brand as a replacement to the JUWEL T5s. Heard a lot of good things about iquatics products and service. Was not disappointed, arrived in good time and in-line with stated delivery times. The product itself gives off a superior hue to what have experienced with other products of the same description. Overall very satisfied with this item.. Tank is yet to be setup permanently so will see how long the product lasts before the required spectrum drops off as with them all.